The fate of the 2019 general election is hanging in the balance. Barely six months to the timetable set by the Independent National Electoral Commission (INEC) for the conduct of the election, the enabling law, which is the Electoral Act, is not signed into law. Worse still, the lawmakers are on a long vacation that will hopefully end September 25. 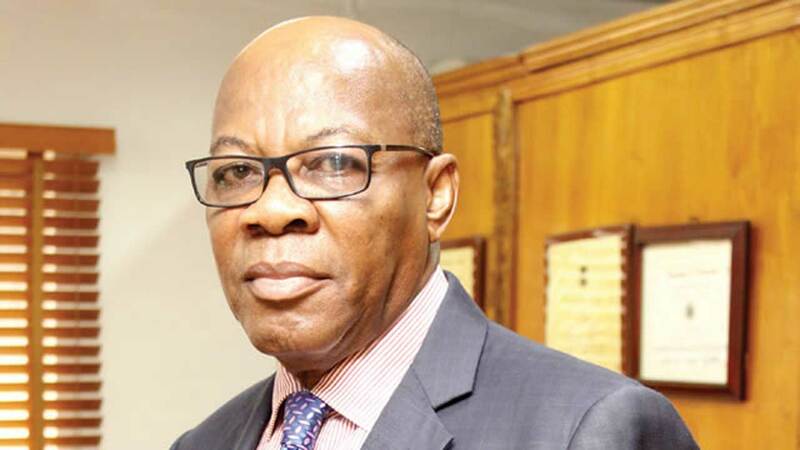 Former president of the Nigeria Bar Association (NBA) and a renowned civil right campaigner, Dr. Olisa Agbakoba (SAN) in this interview with Assistant Editor, Law and Foreign Affairs, JOSEPH ONYEKWERE says it raises a red flag about the possibility of having a smooth and transparent transition next year. He also spoke on other topical issues. 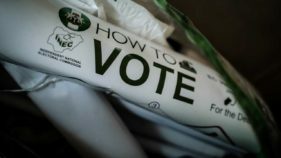 Barely six months to the 2019 general elections, the Presidency and the National Assembly are in a face-off over the Electoral Act Amendment Bill 2018. The president has declined assent to the bill three times. What does this portend for the general elections? The legal framework for the election is obviously the electoral act. The other important framework is the budget. Five months to go, neither the budget for the Independent National Electoral Commission (INEC) nor the legal framework, is in place. Then one begins to wonder whether the elections will take place. I think it is political if you ask me. The president declines assent on the grounds of what his special assistant calls irregularities. I don’t think it is a good reason, and that the president doesn’t have the discretion to say, “Well, I accept this bill but subject to these errors, I will assent.” That would have been better than a dissent because a dissent without reason means that he has something substantial against the legislation. But having heard Senator Ita Enang on a Channels TV programme, I couldn’t understand what the bases were. Senator Enyinnaya Abaribe was clearer when he said the reason was electronic voting, which the president doesn’t like. That is a speculation. I am happy that the National Assembly has said that immediately the bill is returned and the irregularities pointed out, it will be cleaned up and sent back to the presidency. But it is not good enough. Five months to go, the National Assembly and the Presidency are in their traditional historical face-off: whether the president can assent and whether the National Assembly can review the appropriation bill. So, it is a deep-seated quarrel. I would have expected the executive and the legislature to swallow their pride in the interest of Nigeria. And that takes me back to the question of whether the president is really ready for the elections. Is he ready? I don’t understand whether he is ready, because five months to go, we are still tinkering with the basic groundwork. The red flags have to go up. Some people believe that rather than not being ready, the presidency perhaps prefers to use the 2010 Electoral Act? The 2010 Electoral Act will be difficult to use if it has been amended into a bill. It ceases to exist. But assuming that is the case, why can’t he just say so? Why all this rigmarole? If he says, “I prefer the 2010 Electoral Act,” then we will know. So, it doesn’t help whether it is 2010 or the current amendment. My point is, I don’t understand how two major arms of the government, the executive and legislature, will not, in the larger interest of Nigeria, understand that they should put aside their egos and assure us that 2019 is going to be feasible. But right now, I am a big doubting Thomas. The opposition believes that the 2018 Electoral Act eliminates things like underage voting and captures the issue of electronic voting, which was the basis upon which most of the election petitions were dismissed the last time at the courts. So, what do you think about this? Absolutely! What the National Assembly did was to say, all those constraints that made the Supreme Court dismiss the petitions arising from the 2015 elections, let us look at them and make the new amendment to conform to the decisions of the court. What is wrong with that? That is what they have done but the president has dissented. I wish his reasons for doing that were clear, but they are not. So, one is left to speculate, but I think the underlying point is that it is not good enough for Nigeria. It is not good for our democracy that, five months into elections, neither the legal framework nor INEC’s budget is ready. The National Assembly has said the N143 billion earmarked for INEC is also captured in the new electoral bill. Does that mean if that bill is not signed, the funds meant for procurement and logistics for INEC would not be available? Clearly the funds will not be available, because the electoral bill must capture the logistical framework; electronic voting and all that are in the budget. So, if we use the 2010 Act, the budget assigned to INEC by the National Assembly would be irrelevant. I am also shocked that the National Assembly went into recess without dealing with these crucial issues. Whether that was to forestall the impeachment of Bukola Saraki or not is another question. But what underlines all this is that the politicians on both sides of the divide are looking to their own personal opportunities rather than the national interest and I do hope that they will remember that what is at stake is Nigeria’s democracy. Section 25 (6) of the 2010 Electoral Act provides that elections to the Office of Presidency shall be held on a date earlier than 150 days, translating to about five months and not later than 30 days before the expiration of the tenure of the holder of that office. The election has been slated for February next year, which is about six months now. The National Assembly is to resume on September 25. Do you think that Nigerians have every reason to be apprehensive of not having a crisis-free transition? It is clear! If you look at the timetable set out by the constitution and the electoral act, time is of the essence. Why should we wait until five or six months to begin to rush things? I am not talking about Nigerians, but for me, it has raised a very serious red flag. And I put the blame on both the National Assembly and the Presidency because if they had Nigeria’s interest at heart, they would see beyond their own personal political aspirations. Right now, the way I see it, they are just thinking about who will be president, governor, president of Senate and all that. And that does no good. So what do you expect the National Assembly to do in this circumstance? They have presented the bill three times and on each occasion, assents were declined. I can understand that, but the National Assembly ought not to be in recess at this time so that people can say they are at work because we are faced with grievous issues. It is like a person who has a major medical crisis, and he gets to the hospital and they say it is closed. The fellow will not be happy. So as a Nigerian, how can I be happy if the National Assembly is on recess when things are burning and they should be at work? Had they been at work, as soon as the president declined assent and gave those reasons, they would fix it and send it back. In that way, we would see their sense of urgency. How can they be on holiday when the country is burning? It is not right! Assuming they are at work and still not ready to accept whatever it is the presidency wants; don’t you think this kind of political face-off would continue? It will continue. But I think that both the National Assembly and the Presidency do not understand that they are working for us. And if they are working for us, I don’t expect to hear the reasons why the president has declined assent from a television programme. It is not good enough. The National Assembly owes me, as their employer. We employ them, so they need to explain what is happening so that they carry us along. It is as if it is the executive versus the National Assembly and we are excluded. We just hear the news. But we are part of it. We have a role to play in putting pressure on either the National Assembly or the president to do the needful. Why don’t we have a role to play? makes reference to a time-frame within which election should be conducted. It also proposes a time-frame shorter than what is in the electoral act and we know that where there is a conflict, the constitution prevails. Does that not even raise more apprehension why this thing should be hastened up now? The National Assembly and the presidency are not showing enough interest. I don’t know whether they are getting proper advice, but if they read the constitution, they would know that the constitution is superior to the act. They can immediately set a pathway that will deliver free, stress-free and credible elections. But right now, everything is jumbled – no money allocated and timelines are not in conformity with the constitution. Egos are at play, the president was in China and the National Assembly has been on holidays and we are just looking. That was the point I was making earlier. Nigerians are so disempowered because a lot of the major elements of the Nigerian society have been either bought or they are silent. Legal profession is not active. The church denominations and the clerics are not active. The traditional rulers are not active. Do they have instruments of coercion or defence? No, but what is known about civil society is that when they speak, it creates an impression. They can shape the way society functions. Let me go back to a feasible example. When Sani Abacha decided that he would be a presidential candidate of five political parties, that was a world record, you may say! He organsed his two million-man march in Abuja. We organised our five million-man march in Lagos. We were not five million people. We were only about 70 but that was the first indication that Abacha’s phantom that he would be presidential candidate of five leprous political parties was not true. But that was in the military era? It is better now. If we could do it in the military era, now there is more space. It is not an assumption. I have been in both. I have been 40 years in this. I have been 25 years in military. I have also been in this civilian process. The biggest challenge is that the key actors in our society are silent. Are you comfortable in the manner in which security agencies in this dispensation allegedly go after people who seem to disagree with the government? How can I be comfortable? But what is our response to the issue? We know they do so, but what is the response from critical sectors of our society such as the media, the Bar association, civil society groups and the church? What did they say? Nothing! So, what do you think informed this silence, since it is the same groups of people that you have mentioned, who fought during the military era? But I am asking you the question? You have been 40 years in this; so, what do you think? At that time, there was a clear divide. It was military versus civilians and the issue on ethnicity was less pronounced. But to be honest with you, that is a good question you have asked. I find it a lot more difficult working under a democratic dispensation, advocating issues than under the military. But that does not mean that we should stop. It is not an excuse! Why do you find it difficult? It is because of diverse issues such as religion and ethnicity. Back then you could say that soldiers must go and everybody will agree and speak with one voice because we had one common enemy. But we have all failed today. We don’t talk. I don’t know whether you were at the NBA conference in Abuja when I told Lai Mohammed you were booed because you are unpopular, and he was looking shocked. His government is unpopular; that is why. So, there is a big disconnect today. In those old days, we could organise 70 or 80 people, go out and make an impact and come back. Right now, it is not the same. It is not an excuse that because it is more difficult to criticize a civilian government, we would abandon what we should be doing. President Goodluck Jonathan thought that by going to kneel at Adeboye’s alter, he would become president! Can you imagine that? How low can a person get? They went around putting money in the boots of traditional rulers to support them. So, we need to reawaken the building blocks of any nation, which are the media, the civil society, traditional rulers and so on. I want to get you very clearly. What has actually changed that made the people quiet as you observed? I said under the military, the enemy to be attacked was clear. So there was a dividing line. So you could see Yoruba, Igbo, Hausa and other non-military men on one side and all the military guys on the other side. So we knew whom we were shooting at. When that time ended, it became unclear where to locate the enemy. So the very enemies, which are our political class, understood this well, so they use religion, ethnicity and language to divide us. But when they go to Abuja, they understand each other’s language: power and money. Hausa man would understand an Igbo man when it is about power. They say they want to share post, he will understand it. If you speak Hausa, he will understand as an Igbo man. Back then it was clear. I saw both sides and I see the challenge. But notwithstanding the challenge of speaking out for democracy today, it is no excuse. People then were ready. Why is it that people are not ready today? It is because of money-politics. When I stood before tanks, you think I wanted to die? But now, they would say find the man N50 million and he would not go. That is the reality. Now, the nation is completely divided. Do you think when President Buhari said in front of 5,000 legal practitioners that national interest would supersede rule of law that all the lawyers will agree? There will be massive division. Southern lawyers will defer from northern lawyers. So, that makes fighting for democracy more difficult. Do you hold the same view that civil society groups were also docile when PDP was in power because it was also a civilian administration? They were weak. They became weak from 1999 from historical reasons which there is no point going back to. One big error was that we did not understand conceptually that we ought to have continued what we were doing. We sort of like disarmed. We thought that the legal framework that threw up Olusegun Obasanjo and created the constitution meant that our work had ended. Major error! So we dismantled all our processes and structures. By 2003, when we discovered that the legal framework was very faulty, it was too late, because water that had gone under the bridge couldn’t be scooped out. That was why I told President Obasanjo that the legacy he could leave as an 80 year plus old man and two-time Nigerian president is to part the water like the Red Sea because the thing is too high for any fresh Nigerian politician to cross. So, I wrote to him and he wrote back and he said he challenged me to do something, which is what led us to establish the National Intervention Movement, which is now the fresh dimension to the politics. Whether we will then get there is a different question, but I wish I had done this in 1999. By now, we would have gone far. What we have done almost 16 years late is a matter of regret. We should never have dismantled our structures. If we didn’t, it would have been different, but we did. But I can tell you that challenging the legal structure today in Nigeria is not as easy as it used to be. What is your position on the rule of law and national security issues? You seem to criticize the NBA for sitting there and listening to that? What do you expect them to have done at that time? Would that not amount to disrespect for the commander-in-chief? Disrespect for a person who is disrespecting the constitution? The law is not a respecter of persons. But the NBA at the end of their meeting, through a communiqué, condemned it. So you wanted it to be spontaneous? Yes, it has to be. The man said it at once, so I expected the president of the NBA to say, “Mr. President, you are wrong,” instantly. Immediately after he finished his speech? So what is the way to go for the NBA? I think the NBA should be very proactive. It is the leading voice supporting the rule of law. It is the leading voice proposing democratic governance. Everything about democracy and constitutionalism is the lawyers’ forte. That, I think, was an opportunity that was missed. If I were the president of NBA, I would have told him immediately. In other words, the bar has also been docile? And as the former president of NBA, have you advised it? As the former president of the bar, I am just one person. 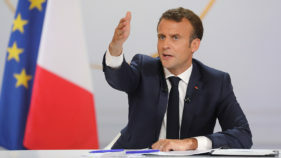 And in my speeches, thoughts and communiqués, I have continued to say what I can say. A former president of the NBA is not the same thing with the sitting president. In my time, this would not have happened. 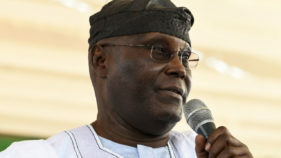 Even when Atiku Abubakar, even though I didn’t agree with him, was being maligned, I spoke out! A number of critical decisions of the Supreme Court came as a result of my pronouncements. I was the first to say that INEC has no power to disqualify. The Supreme Court confirmed it. I was the first to say that the PDP cannot remove Rotimi Amaechi and replace him with Celestine Omehia, when Omehia didn’t even come for primaries. The Supreme Court confirmed it. That is the role of the bar! When you do that, you give courage to the judges. They will know that the bar is behind them. That is the role of the bar. So if the bar speaks forthrightly, strongly and spontaneously, then you find out that even the president, would be more circumspect because sometimes they read these speeches without understanding what they are reading. So, they need to be properly advised and unfortunately, the advisers of the president are sycophants and minions. They won’t tell him the truth. Look at my friend Reuben Abati. Now he can speak. When he was a media assistant, what was he saying? Now you have Femi Adesina and Shehu Garba. A strongman is what you do today not when you have left office then say, oh I should have. So, we have in all respect summarized a story. The critical elements of Nigerian society have failed Nigerians. You don’t expect poor people who are going about their business to be the ones to do the fight. Every revolution is created by an organised process. And the bar plays a very strong role. The media plays an extremely strong role. The media should take things up. The media should be repeating case of Kemi Adeosun everyday so it is not forgotten. What is your concept of restructuring because over a period of time, you have said that this is an elitist propaganda and all that? Restructuring is a political tool to free up Nigeria from the lockdown that we now find ourselves. And it is the constitution that creates the political administration for Nigeria. As you know, we have 774 local governments, 36 state governments and a federal government. I would like to see a better balance of power. What professor Nwabueze calls a better division of power. Under the exclusive and concurrent list, there are 98 items of power. The federal government exercises exclusively 68. That means the state and local government cannot do anything. When you look at what they are exercising exclusively, I am not sure that they should be doing anything with the police or drivers’ license or registrar of marriages. I don’t think that they should worry themselves about such thing as prisons. If you go to the prisons’ headquarters in Abuja, you will find over 1000 senior ranking prison officers with epaulets, doing nothing. They collect the budgets and spend it in Abuja. When you go to the prison in Oraifite, people are dying of hunger. Prisons should go to the states. If I were the president of Nigeria, I am sitting looking at the constitution and I tell you this one take it away! So by the time I look at 68 items of power, I will retain 30: foreign policy, defence policy, justice sector issues, and monitory policy issues such as banking. Throw the rest to the states and make them busy. There are governors who are doing nothing. Some even travel and you won’t see them for months. 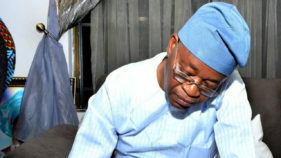 One of the governors became a pilot and broke his head, whereas he should be governing his state. It is because he has nothing to do. That is what I mean by restructuring. Then you look and see whether the local government should be given the other 30 on the list. What is Lagos state government doing by employing Visionscape to carry all the refuse in Lagos whereas it is a local government job? In my house in London, it is the Borough of Harrow, the local government, not the Prime Minister of UK that collects refuse. That’s the problem. They repair roads, fix water, electricity and all those small things that surround the community. So, the federal government focuses on very narrow thing and does it well. That is restructuring. That is all it means. It is not a big thing. But for this to work, we in the south must stop the nonsense of antagonizing the north. We shout about it not knowing that restructuring is about marriage between the north and the south. So the north would say okay, you want to restructure so that we go hungry? So we have to show them that the thing will benefit everybody. There is a particular state in the north. They had 2.5 million candidates for JAMB, only156 of them came out. That is because all of them prefer to beg as almajiris. The northern governors have made it profitable for them to be on the streets begging. And this thing goes back a long way. I was born in the north and I schooled in the north. Immediately I finished my standard seven exams, I was going home and saw Aliyu and Monsuru sitting on a mat on the road, begging. So what Prophet Mohammed said about almajiri has been abused to keep them down. So the northern governors themselves need to understand that they need power to bring up their people. Why do you see this cascade of northern refugees from the north into the south? It is because nothing is there. A northern governor should be ashamed that they are opposing the legal structure of restructuring. The southern leadership should be ashamed that they do not talk to their northern brothers, to tell them that these things will benefit both of us. If we weaken the federal government and strengthen the state governments, Nigeria would be at peace. And all the states have their different skills. In the north, food is so cheap. It is an agrarian revolution waiting to explode. We spend $6 billion importing low-grade tomato paste from China every year, but Dangote has started producing it in six states in the north with massive tomato factories. So, there are things they can do like sugarcane, corn, yam, potatoes, and everything. But we need to assure them that changing the way Nigeria works is for the good of everybody. That is what I mean by restructuring.